Traditionally, conformance testing has been the domain of the telecommunications industry, while interoperability testing has mainly been limited to the Internet world. Many see these as either/or solutions, ignoring the fact that recent experience shows that both approaches have their strengths when used wisely. This paper discusses the merits and shortcomings of each approach and shows how they can usefully be combined to maximise the effectiveness of the testing process. This is especially relevant where testing is being treated as a potential branding issue by various fora. 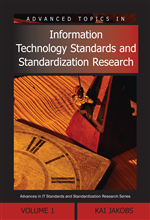 This paper is based on many years of practical experience of writing test specifications at the European Telecommunications Standards Institute (ETSI). It presents ETSI standardisation activities on testing, including the development of a generic interoperability testing methodology and the work being done by the Technical Committee Methods for Testing and Specification (MTS), the ETSI Protocol and Testing Competence Centre (PTCC), and the ETSI PlugtestsTM service.